In a glass dish or a large sealable plastic bag, combine all the ingredients. Add the chicken and coat well. Cover the dish or seal the bag. Refrigerate for 8 hours or overnight. Drain the chicken, keeping the marinade aside. Season the meat with salt and pepper. Reduce the grill temperature to medium. 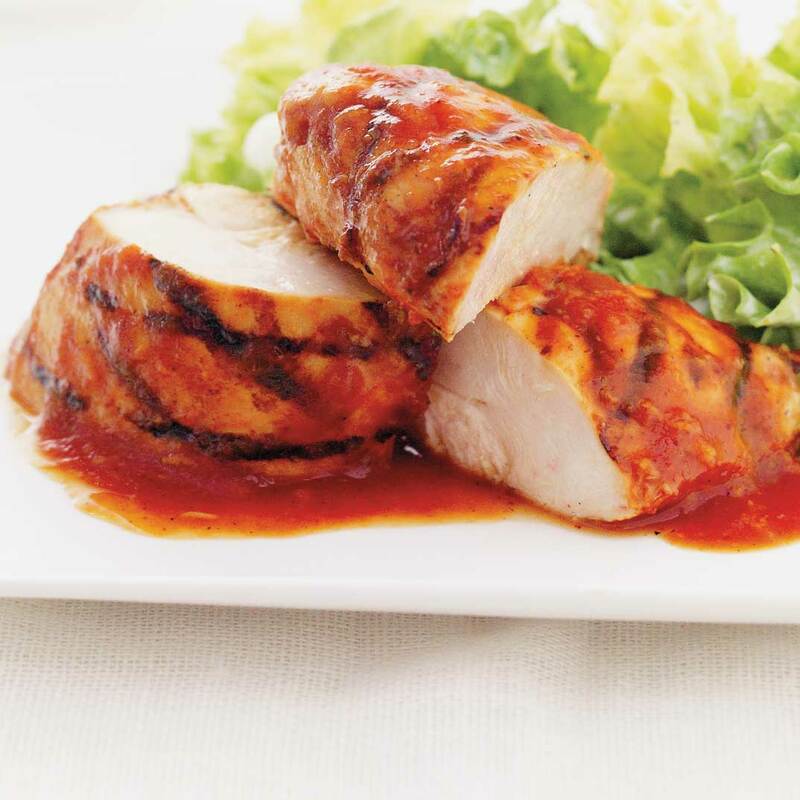 Grill the chicken for about 7 minutes per side, basting it with the marinade. In a small saucepan, bring the remaining marinade to a boil. Simmer for about 2 minutes. Adjust the seasoning. 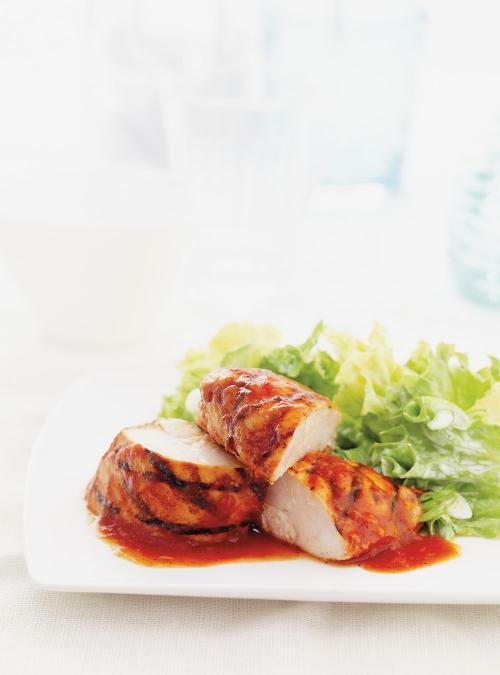 Coat the chicken with the sauce and serve with a green salad and baked potatoes. Keep two cooked chicken breasts if you want to make the recipe for Mediterranean Chicken and Grilled Cheese Sandwiches.